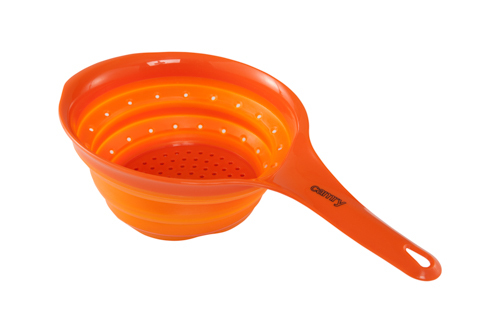 CR6712 collapsible silicon colander is a handy alternative for metal strainers. 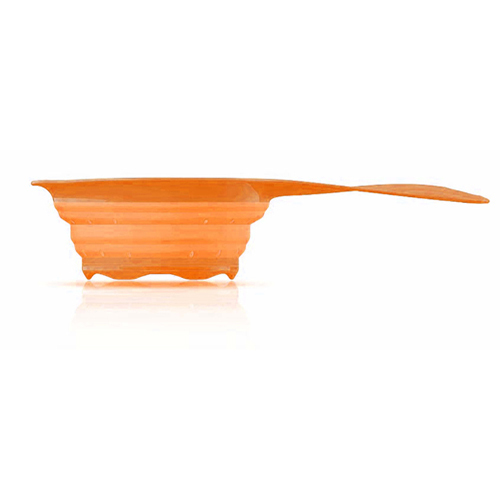 Its greatest advantage is the its collapsibility, so it occupies less space. 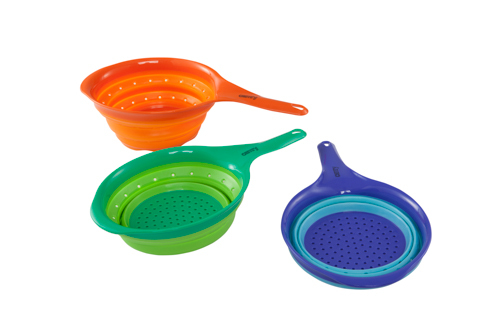 This way the colander can be stored even in a drawer which would be impossible with standard strainers. 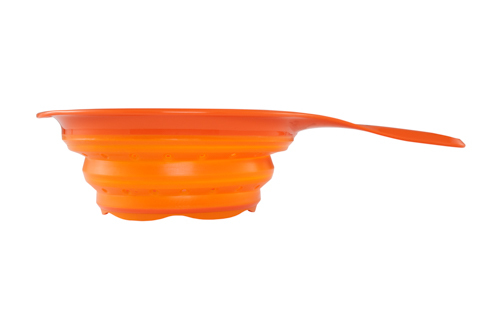 It is handy, light and saves a lot of space. 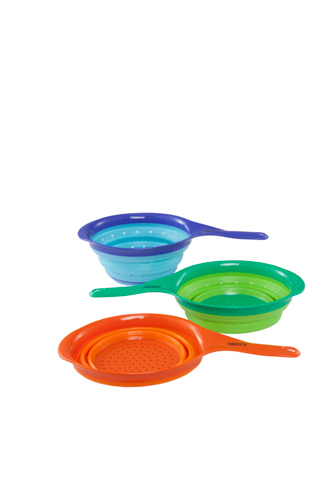 All these features are utile both at home and when you need to travel with cooking equipment. 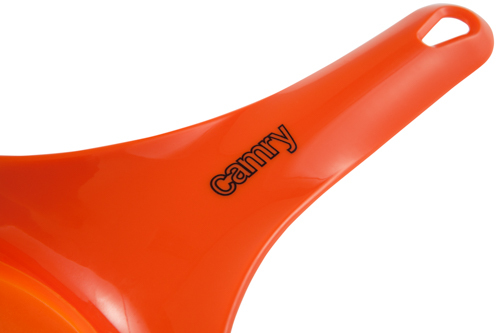 You can even take it camping! 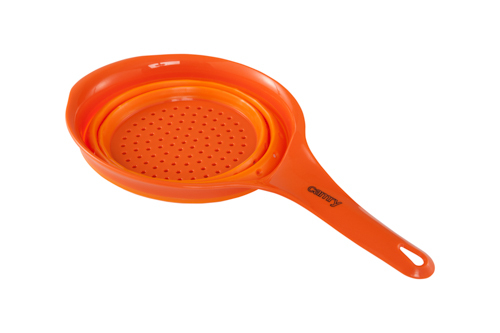 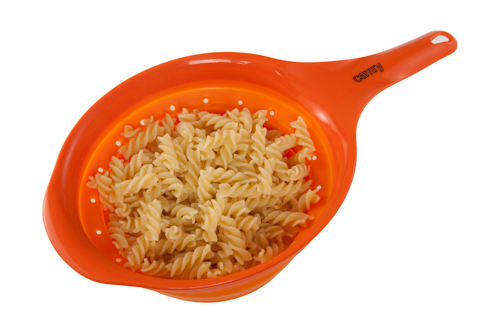 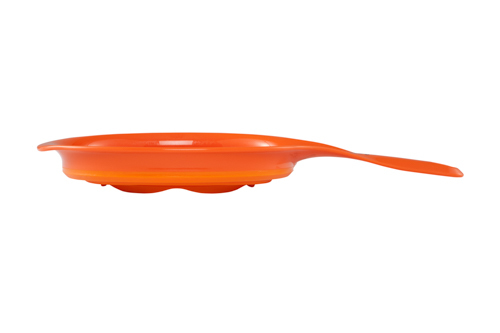 What is more, the intense colour of CR 6712 silicon colander draws attention. 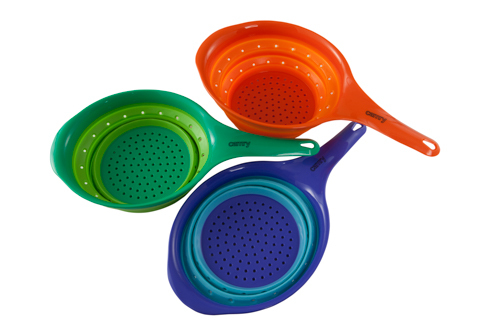 You will never have to look for a colander again!